Pretty Chit Chat: Love it or Leave it? LEAVE IT! I woke up today feeling good as you do because Monday is over and I actually had another blog post ready to go up for today as I've been tagged for the Procrastinating Beauty Blogger (which will now be tomorrow, so keep an eye out) but then I discovered the horrible truth of a mascara I thought was supposed to be good! 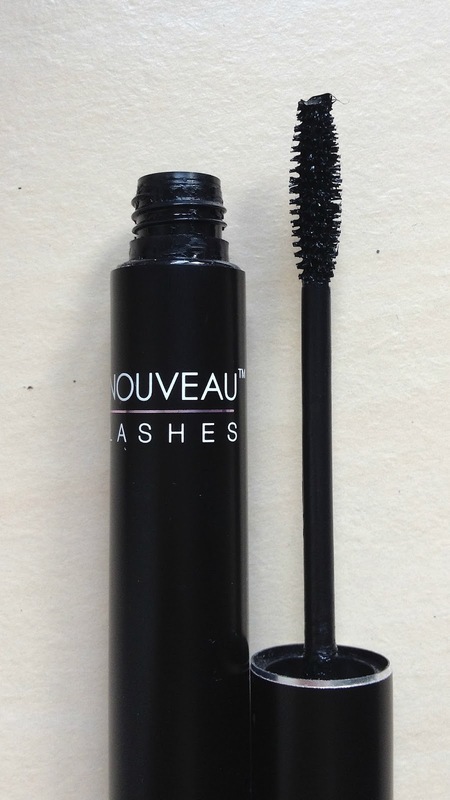 The mascara is called Nouveau Lashes Noir Mascara that comes in at £14.99 which is pricey for a mascara that is easily the equivalent to a cheap store brand mascara. I saw it in my draw and I thought, why not give this a whirl today... Big mistake! To start it was promising.. The brush is good as it separated my lashes well but it just went all down hill from then on wards. The mascara took forever to dry on my lashes as I could feel it when I blinked and they have stayed sticky since I put it on at 8:30 this morning. It has turned my lashes heavy, I feel like they are all stuck together at this very point in time and they have lost the good shape they had in the first place! I was so disappointed in this mascara, wanted to try something new, something that maybe not many people have tried and the only pro about it, it's the brush is a good size! Just goes to prove that costly doesn't equal quality! Anyway, hope you're all having a nice day! Look out for my Procrastinating Beauty Blogger Tag tomorrow! I nominated you for a Liebster Award!!! Love keeping up with your blog!